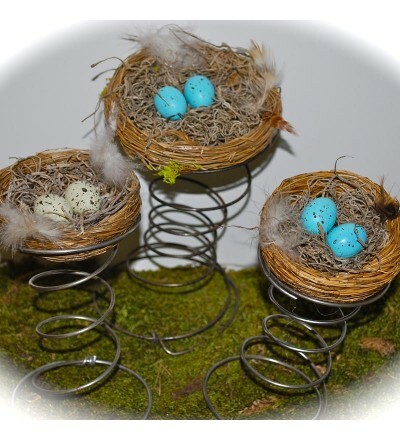 There is no more perfect way to usher in the birth of springtime like birds nests! This unique display of birds nest on bed coils will make for a great conversation piece and have your friends asking where you got them. 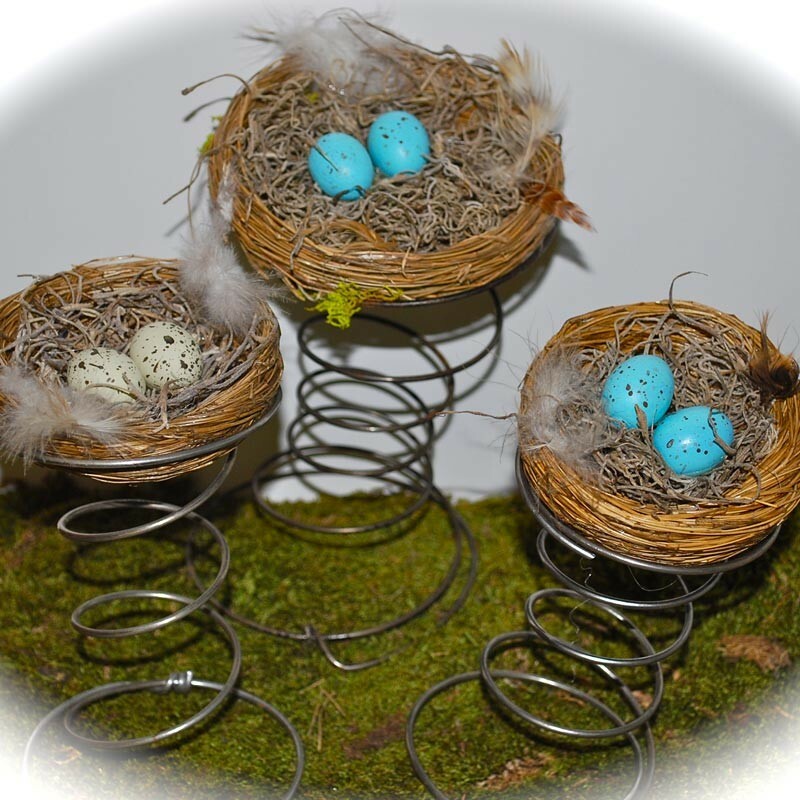 Each features a likelike bird's nest filled with hand painted faux eggs and downy feathers. They make a memorable decoration for a mantel, sideboard or tabletop. appox. 5.5" to 6" high.